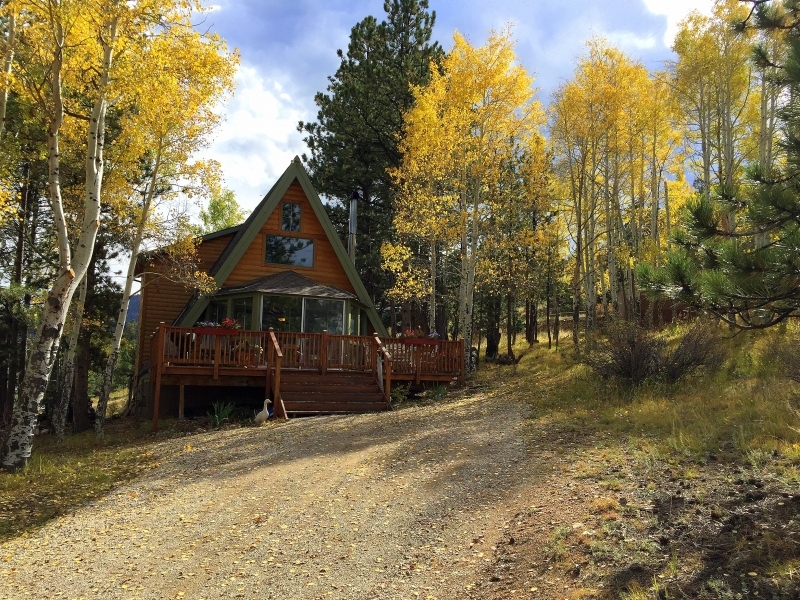 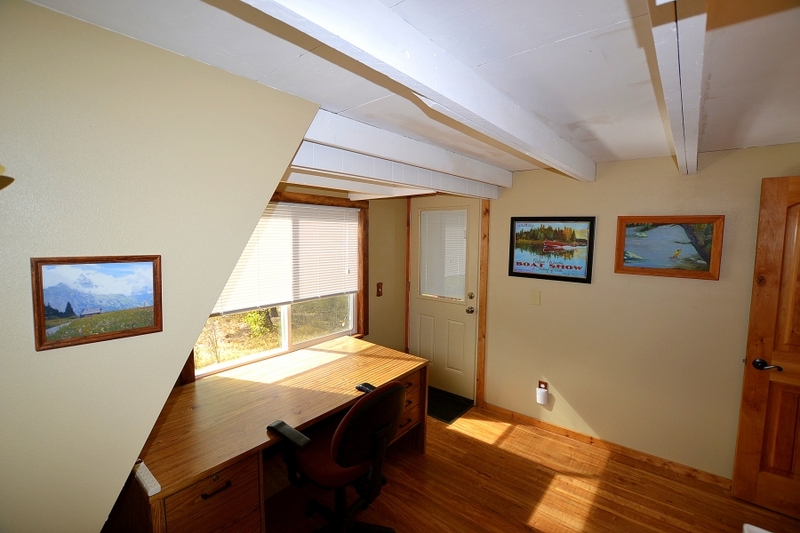 Tucked into mature aspen and pine tress this charming mountain home is sure to please. 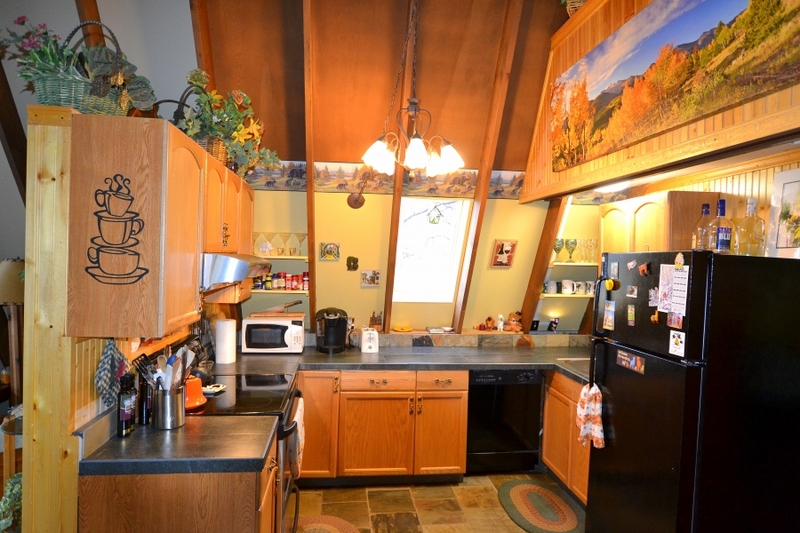 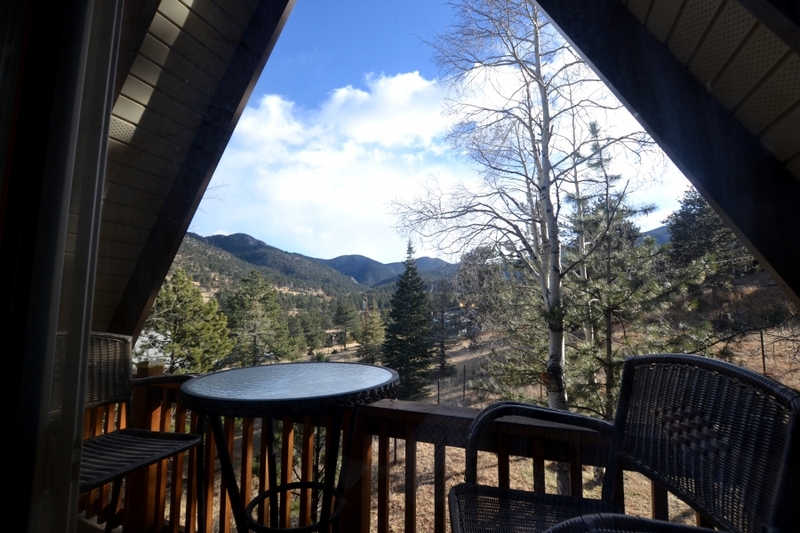 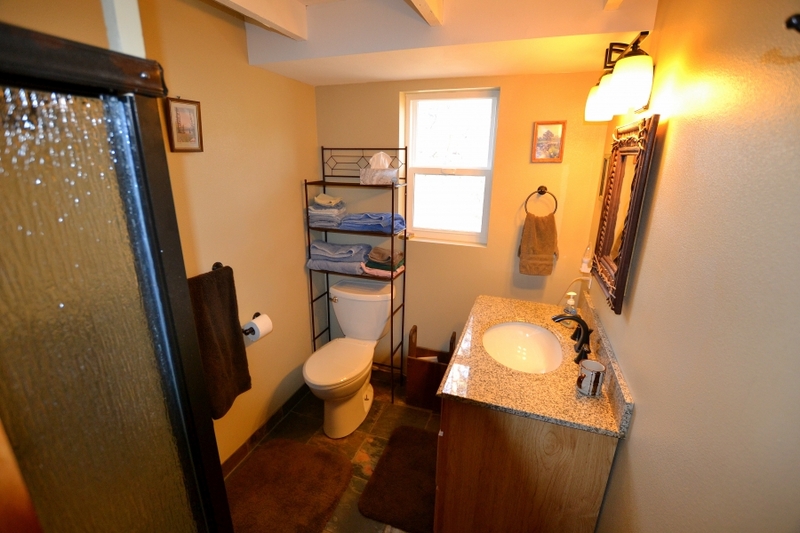 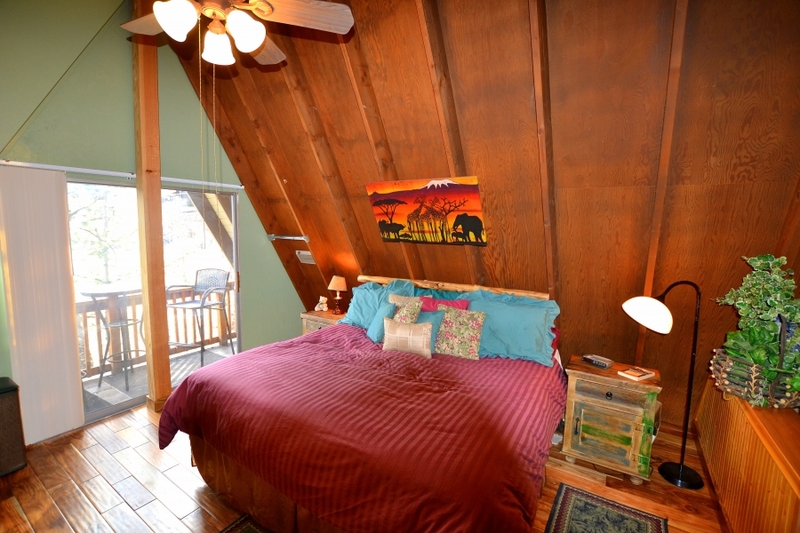 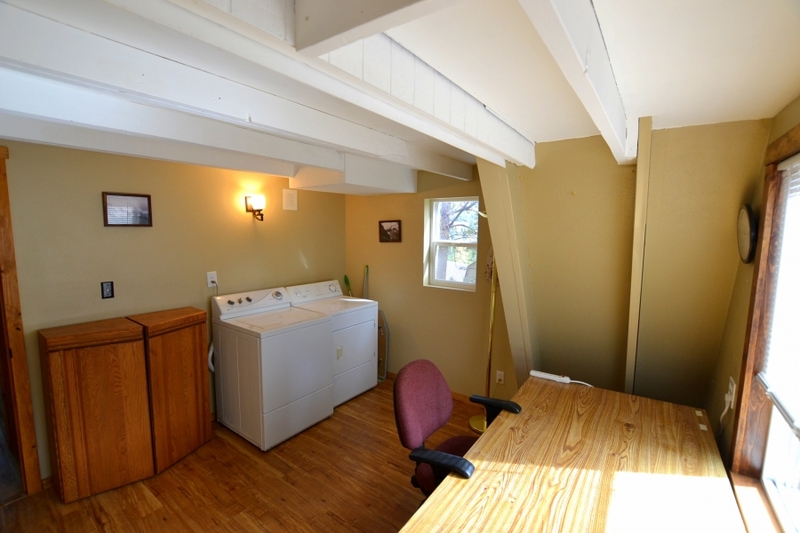 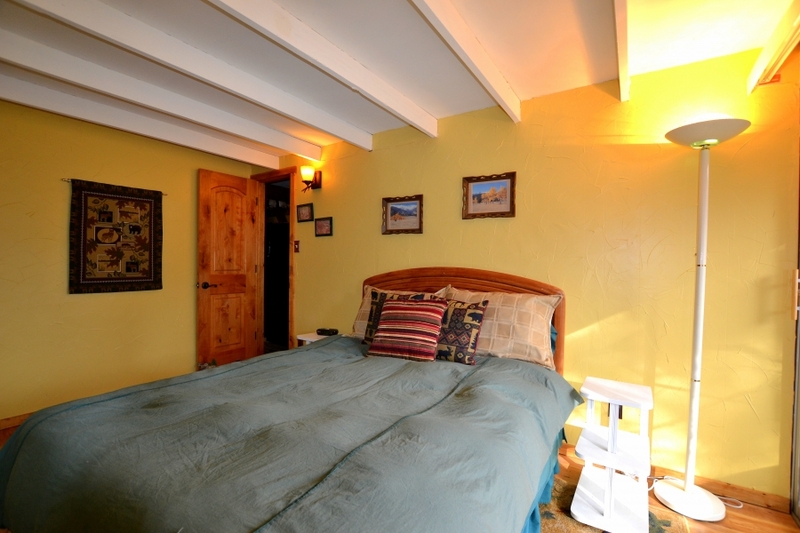 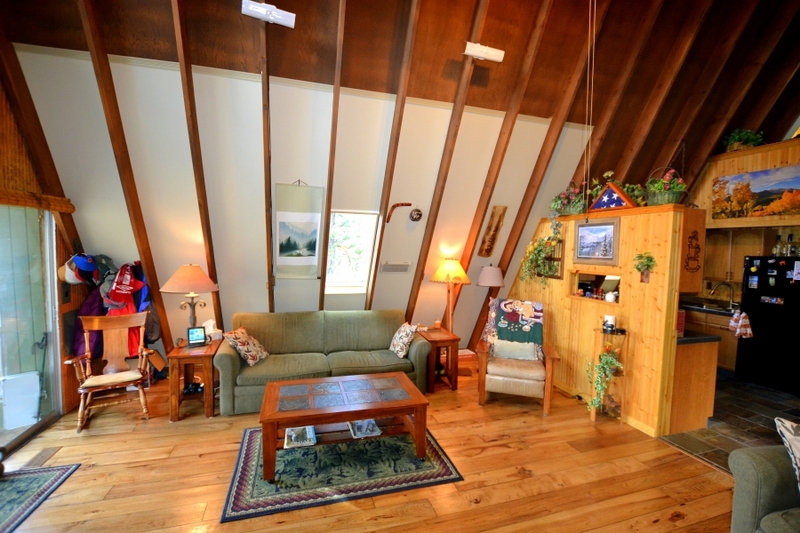 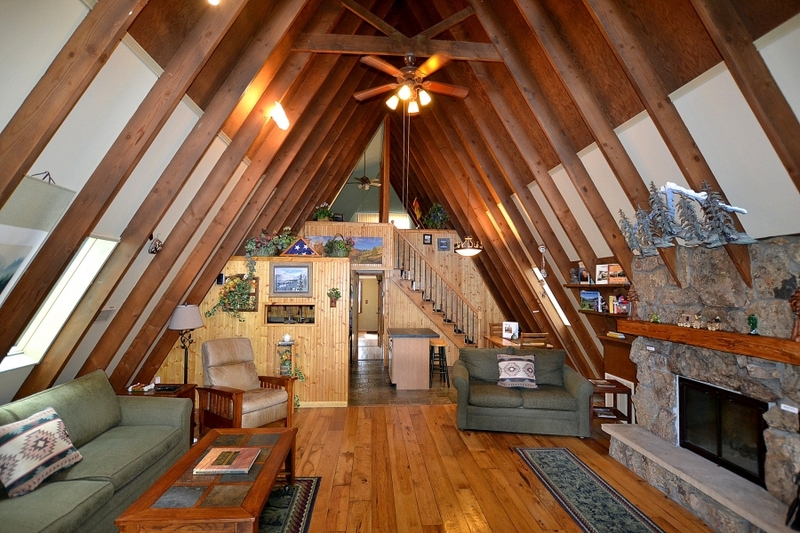 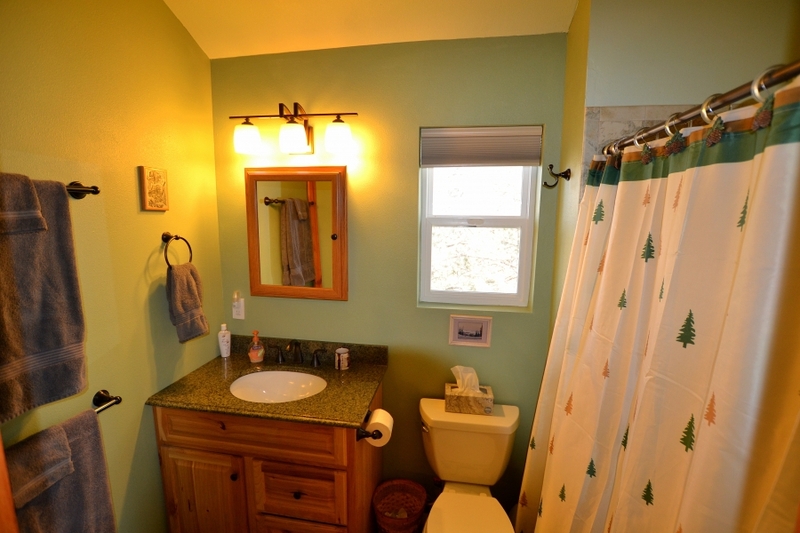 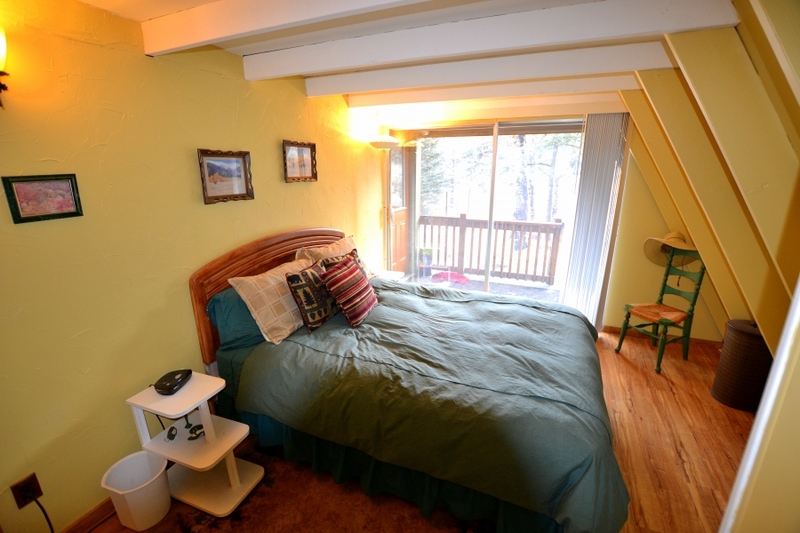 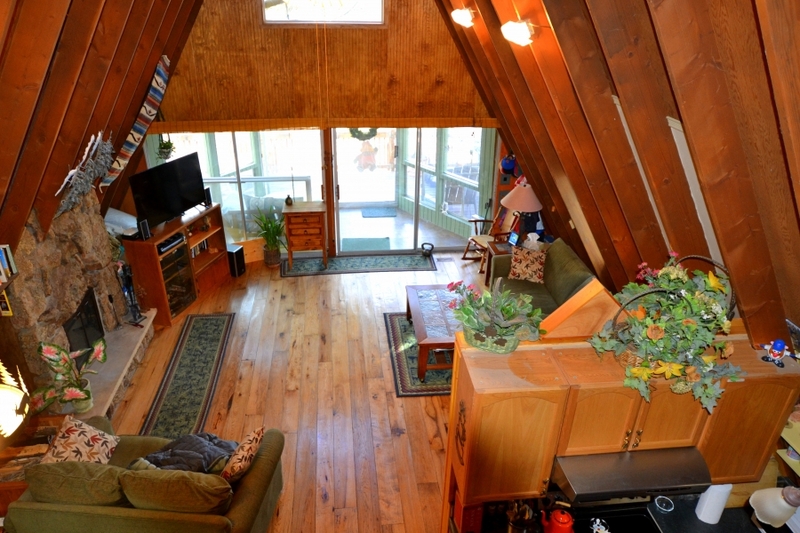 This great home is located south of downtown Estes Park in a quiet neighborhood. 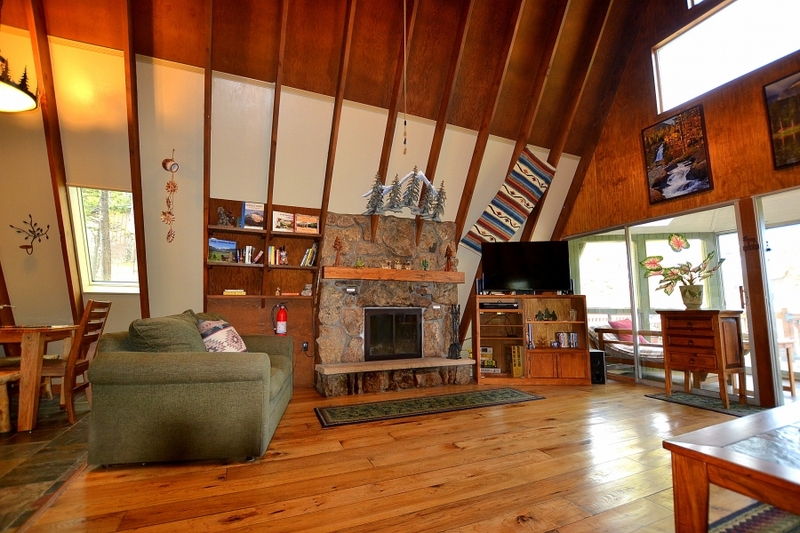 The great room is highlighted by soaring ceilings, warm wood floors and a wood burning moss rock fireplace.